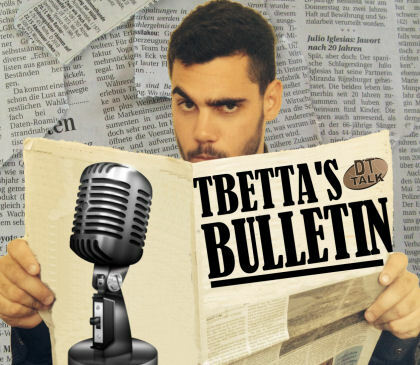 Rookie master Jeppa returns to the Bulletin for a chat this week, with plenty of swagger too after defeating Tbetta Than You very comfortably in the DT Talk Writer’s League. As always, the boys offer up the Trolling and Polling for the week, plus we play ‘Ask Uncle Jep’ after taking a look at those dastardly Taggers. 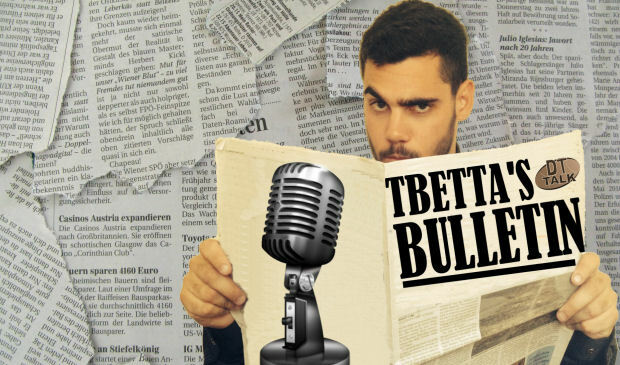 Rookie master Jeppa returns to the Bulletin for a chat this week, with plenty of swagger too after defeating Tbetta Than You very comfortably in the DT Talk Writer’s League. As always, the boys offer up the Trolling and Polling votes for the week, plus we play ‘Ask Uncle Jep’ after taking a look at those dastardly Taggers. Don’t forget to keep up to date with @JeppaDT‘s prolific work with the Juniors plus his weekly contributions to the SC GOLD service! Below I’ve included a couple of visual aids for the Taggers section – hopefully it gives you some kind of idea who to avoid and which teams to exploit in the coming weeks! Click here to download MP3. Thoughts on Holding Hanley and Mummy for 1 week then re assess where they are at. I think Picking Up Lloyd and Crouch is more important Thoughts? Assuming you’re talking about Fantasy here? I’d prioritise points over cash, every time. Deal with the injuries first, then reassess rookies next week. Hmm Ok then Lloyd or Crouch which is a better option to pick up this week will grab the other the next? Probably Lloyd and let Matt Crouch go. Mid rooks are dime-a-dozen, Crouch is by no means a ‘must-have’. How are they a dime-a-dozen? There’s only a handful of good rooks that will get to 400-500k, i’d say its important to be on most of them if you want to be competitive at end of year. Crouch will more likely than not be one of these. As in, decent midfield rooks pop up all throughout the year, but you’d be hard pressed to find a decent backmen/forward on any given week. Look at it another way – how many midfield rooks would you be comfortable starting compared to forward rookies? Dime-a-dozen. Crouch will more than likely be one of these, but there will be others. Josh Kelly just last week was one of them. Mid rooks are far from a dime a dozen, especially good ones. The beauty of RDT is that you can grab both before a price rise. As far as Kelly goes, you will pay a premium for him. Crouch is basement priced with elite rookie scoring potential. is it rolling lockout for the first game????? Whats more important Hanley or Grundy out?? Clearly Hanley, assuming Grundy is fit to play? Unless you’re talking about Heath Grundy, then yeah… piss him off. Nice stuff lads? What do we reckon Mitchell will score this week? Tom: friggen 60 probably. Hasn’t attended a centre bounce in a fortnight. Sam: Depends on whether he gets the Guthrie tag. I like 90+ still. Great work lads love your work! Was also becoming worried about Rocky and the extra tagging… do you think this will be much of an issue?? Yeah, really not sure what happens there. Has Rockliff ever been tagged in his life? Can’t say I can remember any particular incident. Seems to be a player that plays so loose going the other way that opposition coaches are happy to let him run free. Of course, that was with Black, Rich and Hanley in the side. Which one do I go with? should I take Ablett’s shared bye with Pendles (who i have) into consideration? Nat Fyfe is back from his suspension this week, what are our thoughts on him as an option to replace the injured Liam Shiels? Should i be trading titchell to chappy/ parker for points or trade titchell or rohan in for lloyd? Even if i get lloyd in what ever money he makes im going to lose heaps on titchell coz of he’s high break even and risk getting another poor score. Whats your advice tbetta? Thinking Mummy < Jacobs and Rohan < Lloyd and benching shiels which means playing Polec, Tyson and Dunstan. Or should I hold rohan and get in crouch for shiels? Thanks lads, I went Houli -> KK and Caddy -> Rocky via Taylor last week which was a massive win. This week i think I will be going Shiels -> D.Swallow Langdon into the mids and X.Ellis to danger and L.taylor back into the mids. This also helps my bye structure because with the DPP links i can be swapping and so. Thoughts? Is danger worth it? Danger isn’t worth it until he pulls out at least one ton this season IMO. Wright and Dahlhaus present better value at this stage to me. But are they keepers? I want keepers because it is in RDT and can’t be sideways trading. im really uncertain right now… i have shiels and mumford who are both out this week… ive traded mumford to jacobs and have 239k left… i also have caddy who i want to get rid of… should i upgraded shiels to rockcliff or move him to the bench for polec and upgrade caddy to chapman??? please help!! 1. The Shiels/Caddy trade can be made later after the Brisy/Richmond game, so assess afterwards for loopholing potential. 3. Caddy playing for you this week will lose money; Shiels not playing won’t. You can trade Shiels out next week if you don’t have carnage. Will caddy be sub this week? That game is on Monday. Probably Griffith against Bris. He should have an easier time of it this week. Lloyd or Fasolo on field this week? I know this isnt DT related, but what is the song at the start of the podcast?